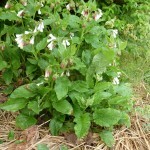 Dwarf comfrey is a medium to low growing, dense, clump forming and assertive perennial ground cover. Similar in height to ‘Hidcote Blue’, grandiflorum’s height and width can be 1.5’ x 2’ and it is hardy to at least USDA zone 5. This variety has dark green leaves; clusters of dark pink to red buds open to small and lovely white to cream flowers in spring and early summer. 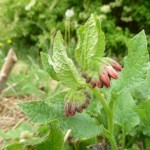 all comfrey varieties make the bees happy. This one is a slower grower, about 12” per year. It is also known as knitbone because of its incredible medicinal properties. 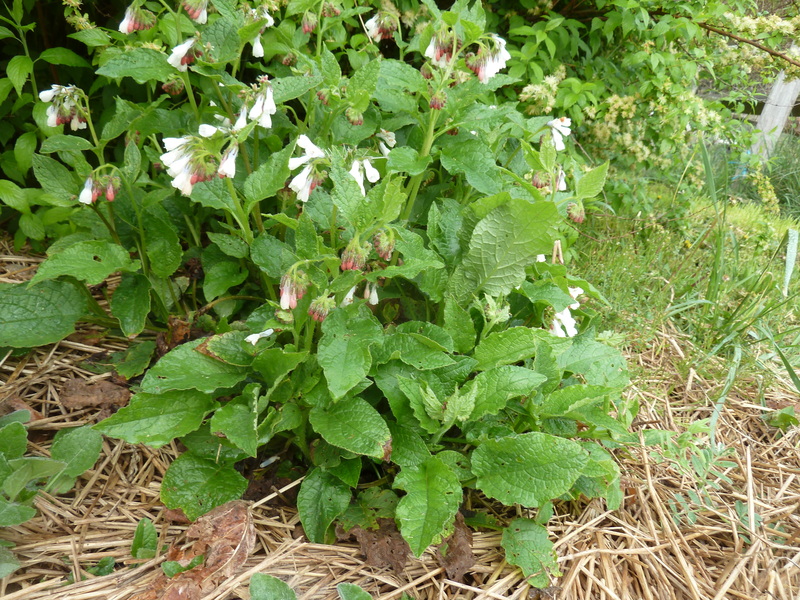 Permaculturists like Symphytum grandiflorum because it will fill out a polyculture’s herbaceous layer at a slower rate than other comfreys, which can be helpful if your food forest or woodland garden is very young and there are other plants that need time and space to establish. 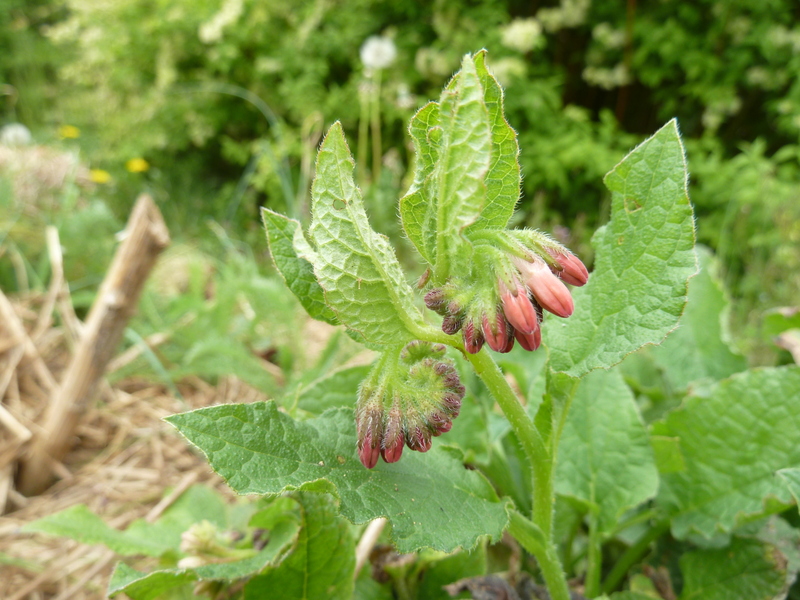 Dwarf comfrey is also a dynamic accumulator, beneficial insect habitat, nutritious and quickly decomposing top mulch and vital compost tea ingredient.